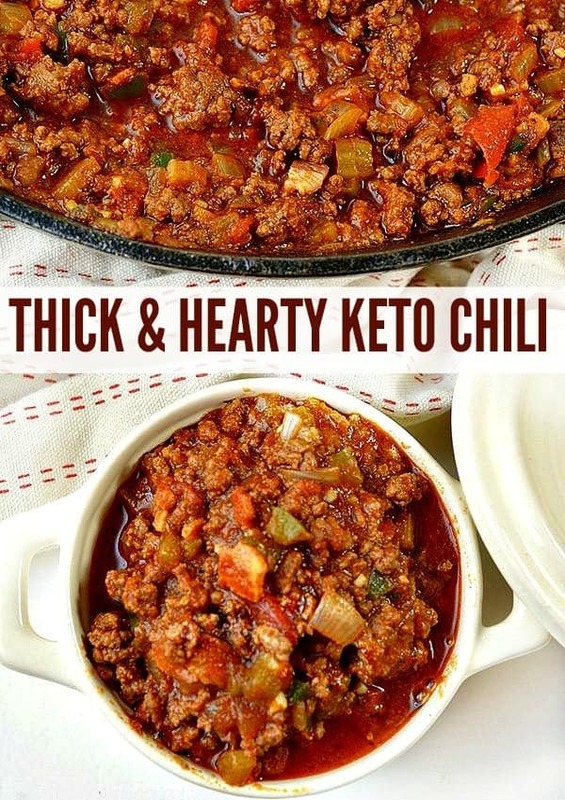 Keto Chili- A Thick and Hearty Family Friendly Recipe! 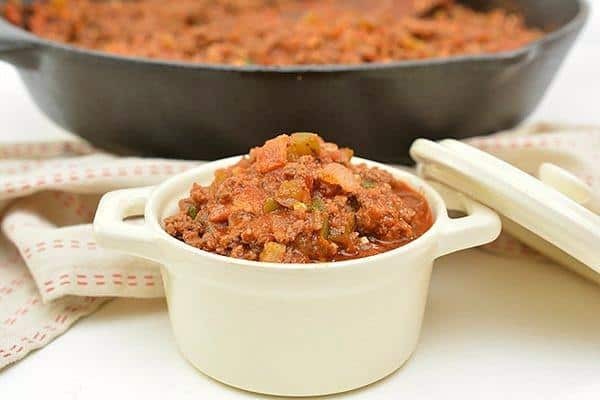 If you’re on the hunt for the best low carb chili recipe – this keto chili will knock your socks off! So savory, hearty, filling, and delicious. 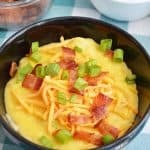 Oh and it’s some really easy keto chili, too! I guarantee it will quickly become your go-to chili recipe. 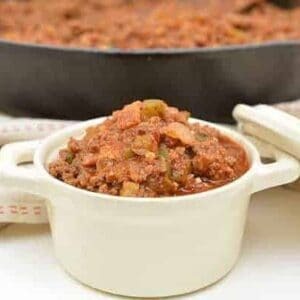 I’ve always loved me a good keto chili recipe… add some cornbread and it’s a match made in heaven! 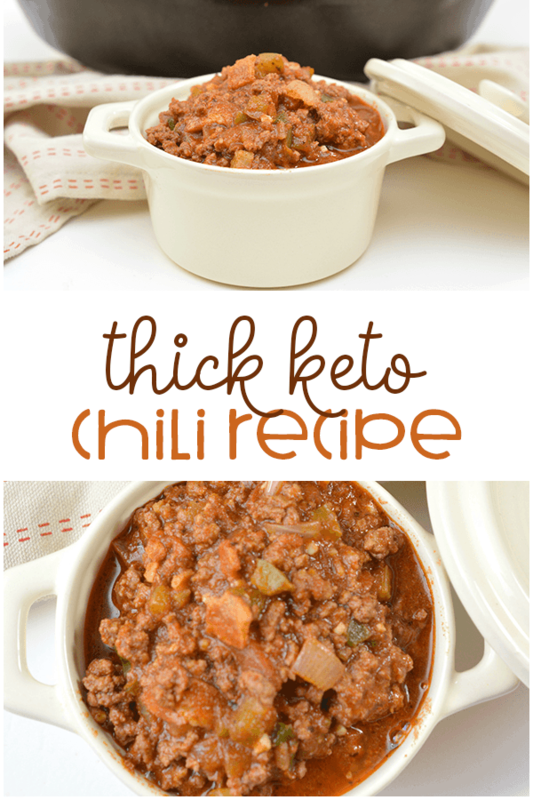 When I was on the hunt for the BEST low carb chili recipe – this was one of the first ones I tried. Thankfully I didn’t have to continue my search for long as it is SOOOOOO delicious. 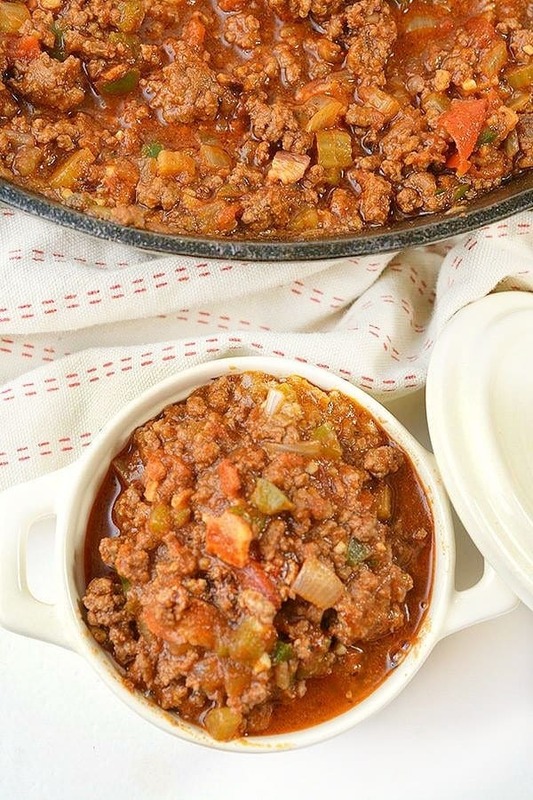 It’s one I make often as chili recipes are some of my faves! You’re gonna want to give this a try, too! 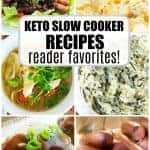 Scroll down to make your own easy keto chili! Before you get started, gather up all the ingredients to make it easier in the kitchen! Cook the bacon in a skillet over medium-high heat until crispy; drain and set aside. 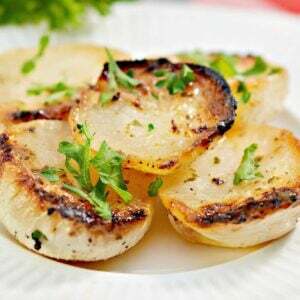 Leave a thin layer of bacon grease in the skillet and dispose of the rest. 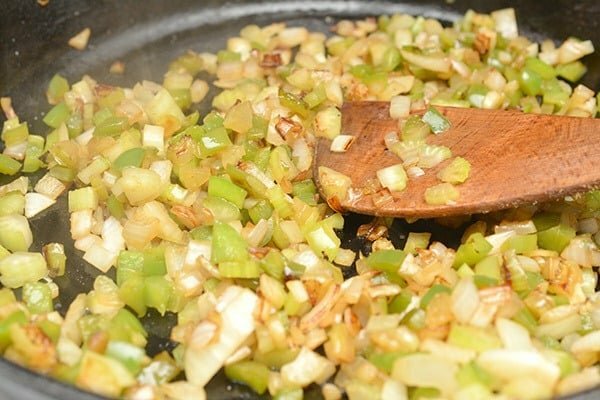 Add the onions, celery, and bell pepper to the skillet and cook until crisp and tender. Mix the ground beef into the vegetables and cook until completely browned; drain. Add the jalapeno and minced garlic, and cook for 1 minute. Add the chili powder, cumin, oregano, and paprika. Stir to combine and cook for an additional 30 seconds. Chop the bacon and toss them to the skillet. 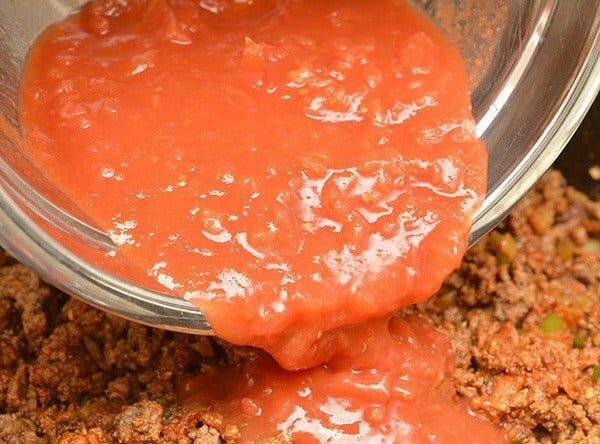 Reduce the heat to low and add tomato paste, diced tomatoes, salt, and pepper. Stir in bone broth and then simmer uncovered for 20 minutes. 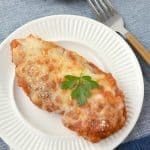 Serve topped with shredded cheese. Enjoy! 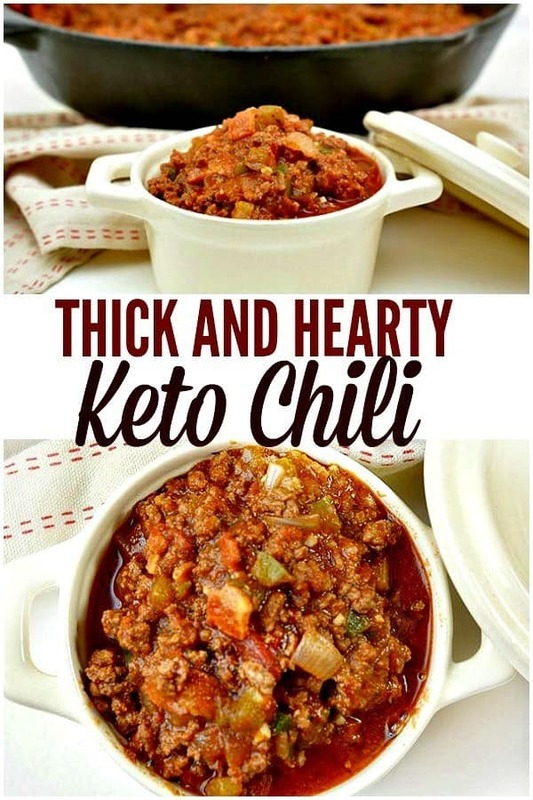 If you're on the hunt for the best low carb chili recipe - this keto chili will knock your socks off! 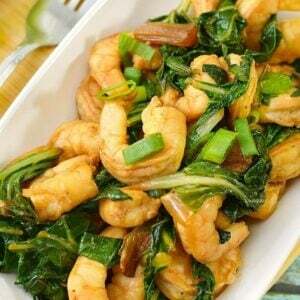 So savory, hearty, filling, and delicious. 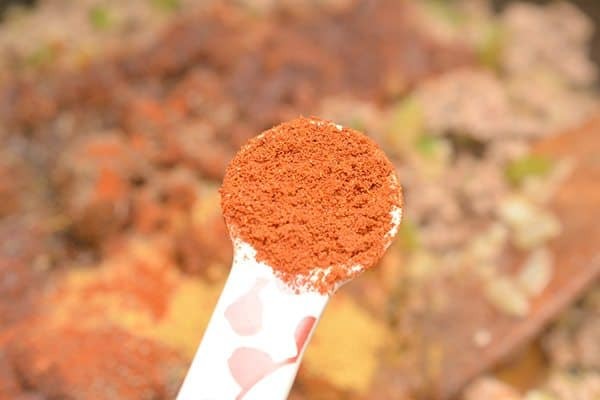 I guarantee it will quickly become your go-to chili recipe. Cook the bacon in a skillet over medium-high heat until crispy; drain and set aside. 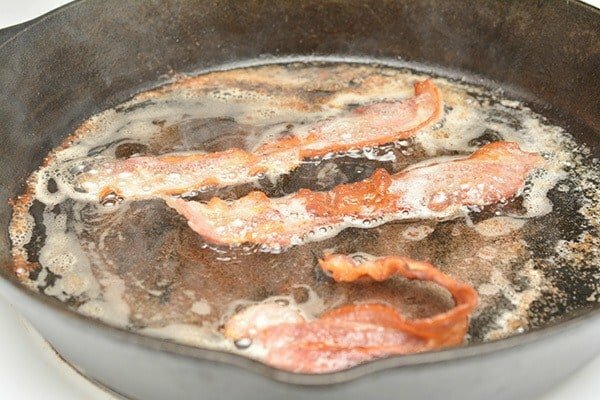 Leave a thin layer of bacon grease in the skillet and dispose of the rest.